The Access® Lorado® Roll-Up Cover features a sleek, low-profile design. Just like our higher capacity covers, this custom fit, lower-profile cover will accommodate bed rails, under rail bed liners, tie downs, bed caps and tailgate protectors. The roll-up cover pays for itself in the first year of ownership by boosting your gas mileage by as much as 10%! 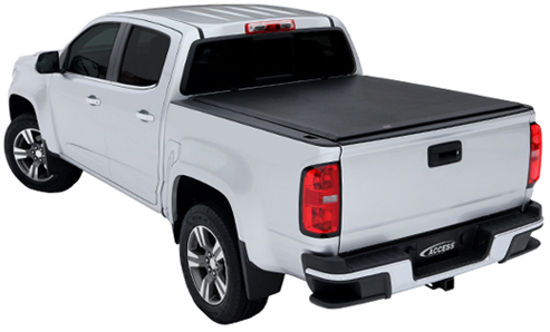 If you're looking for a high quality, durable low-profile pickup bed cover, the Access® Lorado® Roll-Up Cover is a great choice. Integrated fabric seal lasts as long as your cover. Not affected by hot or cold, this seal will not distort, crack or dry out & tear like rubber seals. The self-forming seal doesn't interfere with tailgate operation. The Access® Limited Edition covers are manufactured with 6000 Series aluminum black bars, bows and rails. 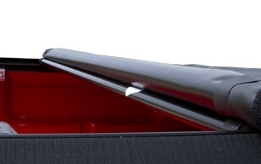 The Premium straps feature a cab guard design that prevents the cover from rubbing on the cab. Super Tough nylon straps secure the rolled up cover. 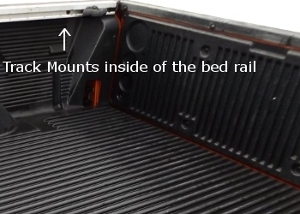 Attaches cover to bed without the need to drill into the bed. Specifically cut "teeth" maintain a superior grip and exceptional strength. Forms a tight barrier between your truck and cover. Combined with the front and rear reinforced vinyl seal - the cover is sealed on all four sides. Access Cover's patented AutoLatch II™ has an automatic, dual locking system that releases both locks in one smooth action. The most reliable latching system on the road. The XT-Dial™ features an easy grip tension adjuster for perfect tension control. No tools, no hassle. 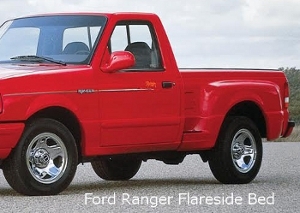 Look for the Slantback Rear Design, *make sure it's the original. 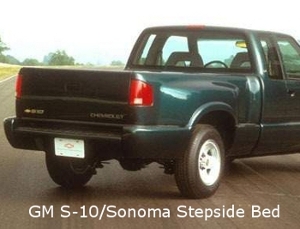 The Slantback Rear Design is a registered U.S. Trademark of Agri-Cover, Inc. The Access® Lorado® rises 1", providing a streamlined look. There is no need for moving parts, the built in lip keeps the hook and loop fastening system from prematurely adhering. Hook & loop fastening system provides a high strength seal that runs the full length of your truck box. Easy one person operation. Flareside Only [?] What does Flareside mean? Without Utility Track System [?] What is a Utility Track System? The Utility Track System is an aluminum or steel rail that is attached on the inside of the truck bed. 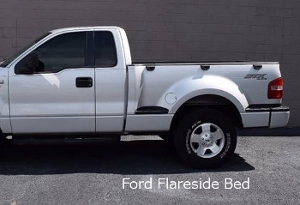 This track system can sometimes interfere with the installation of tonneau covers and other bed accessories. 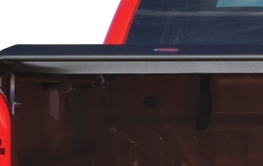 Some tonneau covers are designed to work with these track systems. With Utility Track System [?] What is a Utility Track System?